Thefts from Vehicles Cannot be Prevented Alone - We Need Your Help! Throughout the state, law enforcement agencies are battling high occurrences of thefts from vehicles. Santa Clara is no different! 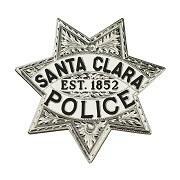 Despite these efforts, from January 1-March 10, 2019, 748 thefts from vehicles have occurred in the City of Santa Clara. This is a 125.3% increase over the same timeframe in 2018. The top two locations for these types of occurrences are parking lots of retail establishments and in front of residences. In recent weeks, SCPD interrupted two in-progress thefts from vehicles. In both cases, the suspects crashed into police and/or civilian vehicle(s) and additional property was damaged while evading arrest. While one person was apprehended, the remaining suspects remain at large. Fortunately, in both cases, nobody was injured, however these incidences are a good reminder for the public to contact police as opposed to trying to approach these violent criminals. SCPD needs your help - prevention begins with YOU! Most thefts from vehicles are crimes of opportunity – and, are easily preventable. • Do not leave items in plain sight - loose change, cell phone, GPS, gym bag, purse/wallet, charging cords, garage remote, sunglasses - NOTHING! • Do not leave cell phones, iPads or laptops in your vehicle. Thieves have been known to locate signals from these devices even if the device is in "sleep mode"
Take these proactive steps to reduce your risk of becoming a victim and decrease crime in our community.